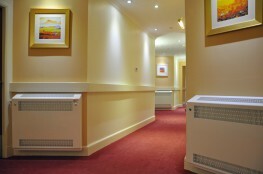 Contour Heating Products Ltd > News > How Much Do Radiator Covers Cost? 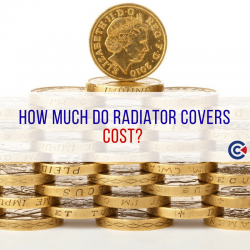 How Much Do Radiator Covers Cost? When purchasing radiator covers for professional facilities focusing on safety is often the top priority of consideration, as well as designing and installing products with as much ease and little interruption as possible. But where does cost fit into this? While considering the important aesthetic features of your radiator covers, including the safety elements, you will also be thinking about how much to invest in such a product, asking yourself “how much do radiator covers cost?”. Sometimes in life, we are able to make a rough estimation of the amount we should expect to part with in order to make a quality purchase. Other times, however, cost is determined by our needs. For example; cars. You can expect to pay more for a car if you want more equipment included. Radiator covers are very much the same. Contour doesn’t work with a “one size fits all” mindset. All of our radiator covers are designed on a bespoke, job by job basis. We put you first. Contour will work alongside you to ensure that we provide safe heating solutions entirely based on your needs. Be it LST, Anti-Ligature or even a particular colour; whatever the requirements for your radiator covers, Contour’s bespoke designs will be uniquely tailored with you in mind. Specification of the location: School, mental health ward, hospital, etc. The type of existing radiator. Height and length of the existing radiator. The colour of the cover. The type of grille that you need. We will take all of these factors into account and use them to build a quote based exactly on your needs. Costs inevitably vary on a case to case basis and by tailoring our quotes we guaranteed the best value for every customer every time. Contour will tailor your quote around the requirements laid out by you. Through our bespoke design and manufacturing, we can provide safe heating solutions to any environment to ensure that safety for all is always paramount.